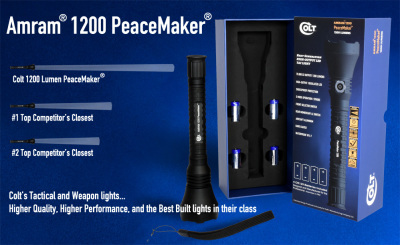 Colt's 1200 Lumen PeaceMaker...The Only "Peacemaker" you can "carry" to Washington DC. The new Amram AM200....Is Smaller Better When Weight is an Issue? Gone are the days when you needed to add an extra pound to your gear in order add a bright light to your belt. 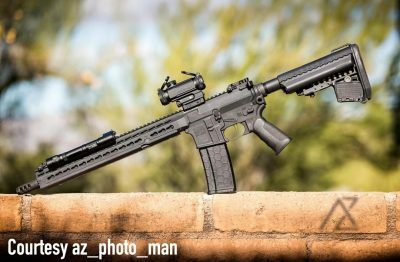 The New Colt Amram AM200 Microtac puts out a whopping 200 lumens at just a few ounces and with just 1AA battery, but is built like a tank. 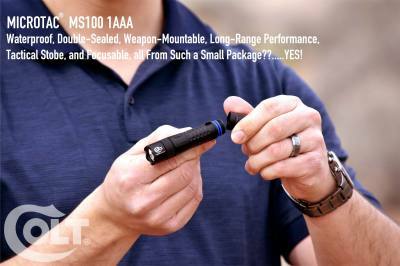 Is bigger better, or will people truly appreciate a small tactical light with all of the programmed-in features of much larger tactical lights? How many people like the idea of moving back to the AA and AAA battery formats without losing performance?